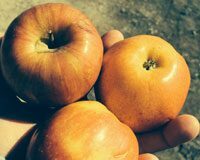 Conversations with my longtime friend Eliza McGraw (you might have heard me mention her in the Over the Fence blog before) have an auto-shuffle appeal. Lots of topics to cover, take your pick. 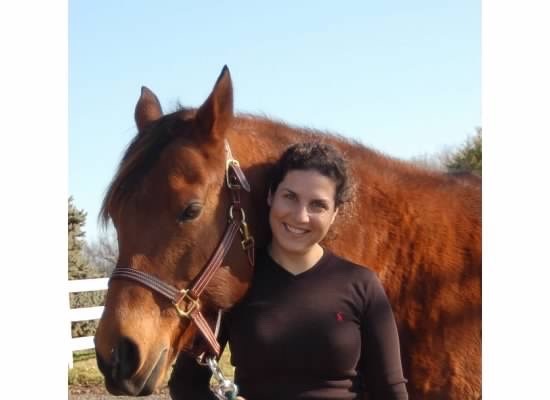 Over the years, our favorite playlist of conversations has included horses, more horses, writing, book publishing, the raising of kids in northwest DC, writing, horses, writing, horses, marriage, writing, and one of our favorite combos: writing about horses. Once, years ago, we even tacked up our horses and put on clean riding clothes for a photographer. Images from that day that appeared on the cover of a book Eliza wrote about trail riding. 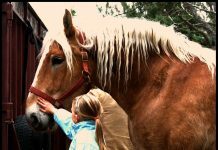 In 2008, her beloved gelding, Romeo, passed away after an arduous effort to save his life. She grieved. We grieved, weathering a sea of caring people who puzzled over the devastation of losing a horse. 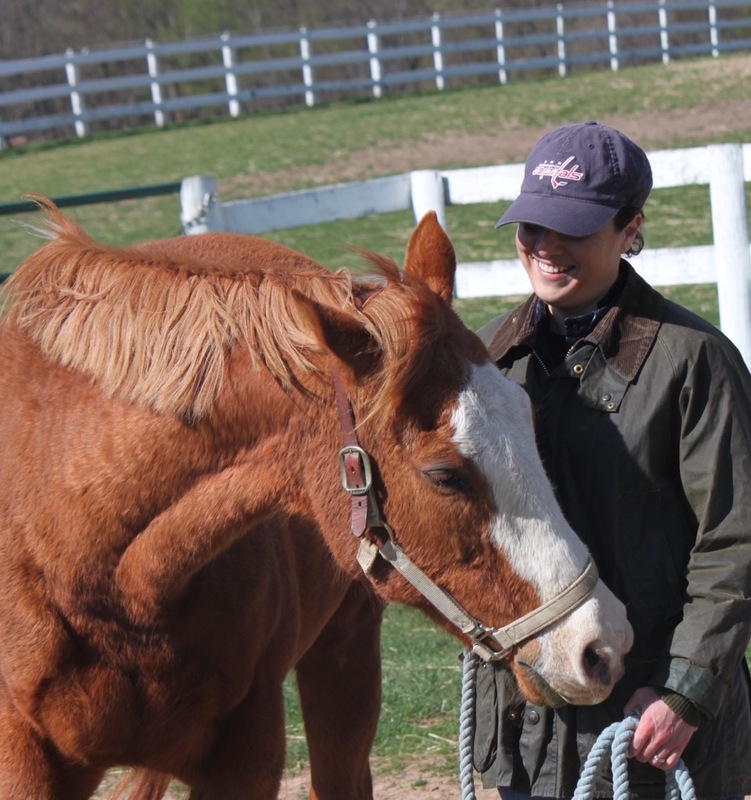 Ten months later when my own beloved mare died suddenly, Eliza demonstrated true friendship. I remember standing alone outside Windy’s stall at the equine hospital in a daze, unable to process the euthanasia decision I had just made. I wanted to run, disappear, die – anything but this. Eliza was on the phone. I’m sure I said I was fine. But she knew better. She conspired with my husband, who was at work in another state. Then she dropped what she was doing and drove 45 miles to pick me up (literally, figuratively, and emotionally) and drove me 45 miles home. We have had other adventures that were much more fun. Like driving through hours of early morning fog to get to a high-end sport horse breeding facility where we learned how healthy horse sperm moves. Or the time we toured the new Washington Post building with an editor we work with. And time spent in Wellington drooling over world-class horses at the Winter Equestrian Festival. Over the years, I have watched Eliza wrangle an idea that wouldn’t let her go. The kind of idea for a writing project that bucks and gallops and stamps inside your head, waking you up at night until you let it run. 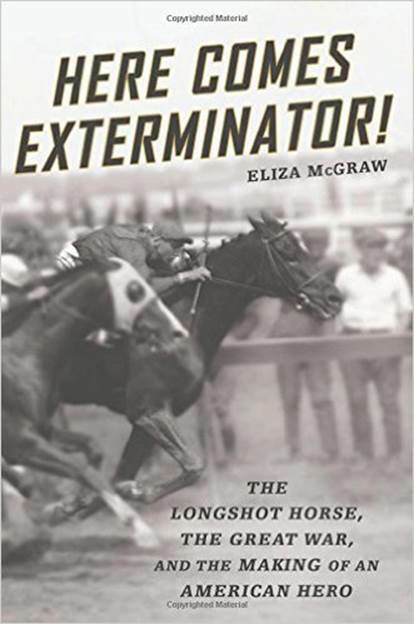 The idea was about an extraordinary racehorse named Exterminator. I followed her progress over months and years as she did ground work on idea, researching, reading, following leads, talking to people, road-tripping to Pennsylvania to meet relatives of one of the horse’s trainers. There were times Eliza got discouraged. But she stretched down into her heels, moved forward through the setbacks and persevered. Moments of progress overtook the setbacks by a length, then a neck, then a nose. A proposal. A year or two later, there was a book deal. Then a first draft. A second draft. A long fact-checking phase. Then there was a book! It’s called Here Comes Exterminator and will roar across the finish line this month in grand style. Cue a cheering grandstand! Kitson: How did Romeo inspire this book about a very different horse? Eliza: Well, honestly, I hadn’t realized that Romeo had inspired the book until you said something to me about it. Do you remember that? We were standing out by the ring grazing Sugar and Taff and talking about what we were working on and you pointed out that I was just as obsessed with Exterminator’s story—going to all those libraries, tracking down the lady who had his tack trunk—as I was with Romeo. It made a lot of sense, as if I was preserving the memory of the famous gelding, work I could do instead of just focusing on the memory of my personally much-loved gelding. K: Dumb question, but explain why was Romeo such a special one to you. E: You knew him! He was a very special horse. Obviously, they are all special, but I really had a strong response to him from the first day I saw him, in a backyard in Tennessee. I rode him around a swing set and trampoline the first time. He had a very mischievous, lively personality, but he was never unkind. Like I would come off after he spooked, and he would come back, apparently very concerned, and look down at me as if he had no idea how I got there. He was alert under saddle, and calm on the ground. He used to tug on the hood of my jacket when I led him. He was gentle with children, but impatient with beginner riders. He was a little mouthy. He was rascally about shoving me with his head, but he knew better—I would give him a shove back to remind him that was rude and he would stop. . .for a minute. Then he would do that thing where you were just standing there and suddenly there was this heavy horse head resting on your shoulder. Also, I had had him since he was three. He was very green when I got him, and we learned a ton together. He made my riding much better, because he wasn’t exactly what one would call a push-button horse. But he would give effort for effort given. K: How did memories of Romeo influence your writing of Exterminator? E: The memories of Romeo came back when I’d read about how well Exterminator connected with people. When Romeo was dying, the vet called me on the phone, and she was crying. Now, he died young, and the whole situation was very tragic, but she was an experienced large animal vet who handled that kind of thing all the time. But something about him touched her. She really liked him. I think Romeo and Exterminator had similar personalities in that respect. Exterminator was graver, more dignified, but there are stories of him being playful, too, racing around with his Shetland pony friend, Peanuts. People responded to him in a unique way. Thanks for sharing, Eliza. Congratulations. And here’s to the amazing horses we have known and the stories they inspire. Check back in later this month for more about this fantastic book!